The Industrial Internet of Things is leveraging technologies to realize efficiencies throughout the value chain of an enterprise. 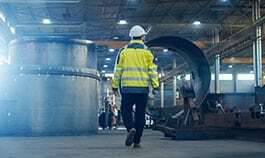 The Industrial Internet of Things (IIoT) is in essence, the natural expansion of the Internet of Things into the manufacturing and industrial sector and forms the basis of “The Smart Factory” concept. The Smart Factory concept was put forward by the German government in 2013 after their initial introduction of the Industry 4.0 initiatives in 2011. These “Smart Factories” are the culmination of the application of intelligent machinery in the industrial setting and will propel the manufacturing industry on the whole into the technological wave of the 4th industrial revolution. By utilizing the IIot’s potential, it becomes possible to build a network of communication between machines- therefore spawning machine intelligence, which is being seen even now in the new generation of self-CHOP devices (self-configuring, self-healing, self-optimizing, and self-protecting). These communication networks allow for the constant collection, processing and analysis of sensory data from the machines that provides meaningful insight into their operation, allowing analytics to be predictive rather than reactive, and thus enables reductions in cost and waste during production. Although this concept is still relatively new, it is quickly becoming clear that IIoT will continue to expand in its own right, and although it is tied to the IoT, it’s interests, benefits, disadvantages, and finer details must be considered as separate from IoT, as it will continue to develop in different ways. As with any industry-wide overhaul, it is necessary to stay on top of new technological advances in order to succeed; in this respect, the innovative potential of IIoT offers a competitive advantage in the industrial sector. This appears in areas like cost control and optimization, where collected sensory data can be analyzed for flaws and weak points to avoid unnecessary costs, as well as manufacturing machine design, where these same design defects can be used to construct a more suitable and reliable machine. Plus, these designs can even be tested without stopping production- by simply making a virtual replica and applying collected data to test the effects, production can continue while a better solution is being constructed. In addition, this data can also be used to forecast misalignments and employ predictive maintenance. However, while it is true that there are benefits to collecting and analyzing machine data, regardless of the size of the operation, it is also important to keep in mind associated risks. For small-to-medium businesses (SMB’s) for example, “quick win” situations are best, since there is not sufficient cash flow before ROI kicks in, and with any size, the cost of the IIoT solution must be significantly less than the value of the asset in order to be profitable. 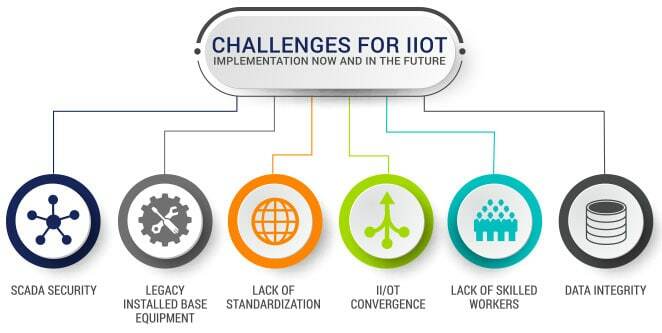 The present challenges for IIoT involve security, IT/OT convergence, standardization, legacy equipment and social political concerns just to name a few. 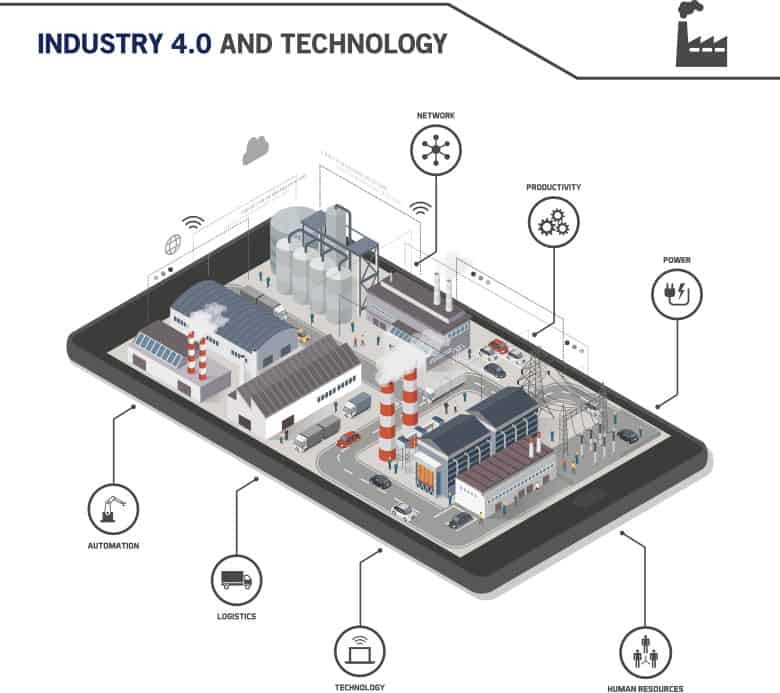 Each of these challenges are being addressed and confronted by industries that are committed to solving them with innovative approaches that utilize technology, definition of standards, big data storage and cloud-based analytic systems in order to implement IIoT, both on a factory-scale (single site) and industry (enterprise) wide paradigm. As of now there are solutions being offered that overcome the challenges to IIoT implementation allowing more and more economic thresholds to be surpassed. As these barriers to IIoT are overcome Small to Medium Business are able to seriously consider implementing IIoT solutions throughout their value chain. As the cost to implement IIoT comes down further it then becomes not only advantages for large multi-national corporations to invest in IIoT solutions but SMB’s as well. 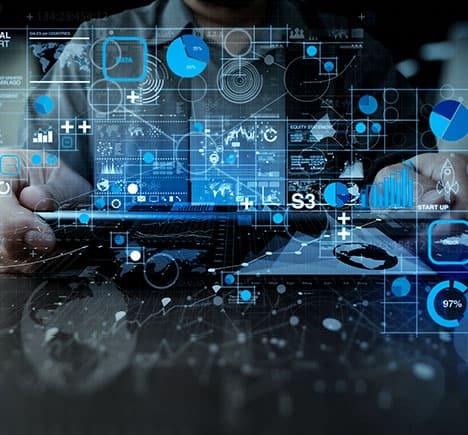 Once SMB’s are able to realize some of the value in IIoT solutions and implement them where needed this will help drive better and more robust solutions that will continue to overcome future challenges to IIoT for all levels of business and industries. Traditionally, SCADA systems have not been put under the IT network firewall, which poses a security threat considering the volume of data that would be transported through it. This problem can be solved by employing newer Ethernet device using systems with more security measures (VPN, encryption, dedicated log-ins, etc. ), but since the aim of IIoT is to enhance, not replace, SCADA and other legacy systems, it is also necessary to integrate the older systems. MQTT (MQ Telemetry Transport) is one such solution, which is used to collect data from sensors and combine it with data from the SCADA system. This design minimizes network bandwidth and resource requirements while still ensuring reliability. 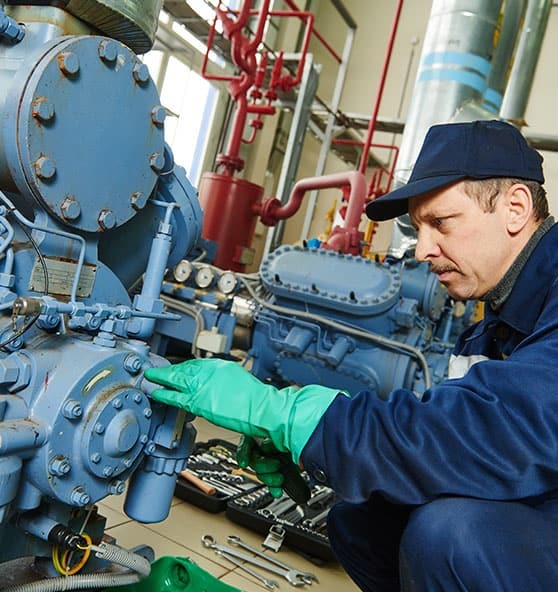 Systems that are at least 20 years old often require maintenance which can lead to unscheduled downtime, therefore incurring significant cost. While it’s impossible to completely replace all of these legacy assets at once, by using IIoT technology to detect, report and predict problems this cost can be avoided in advance. By adding smart sensors to these legacy assets, it not only enables functionality and predictive maintenance, but justifies the addition and retrofitting of legacy automation assets if need be. 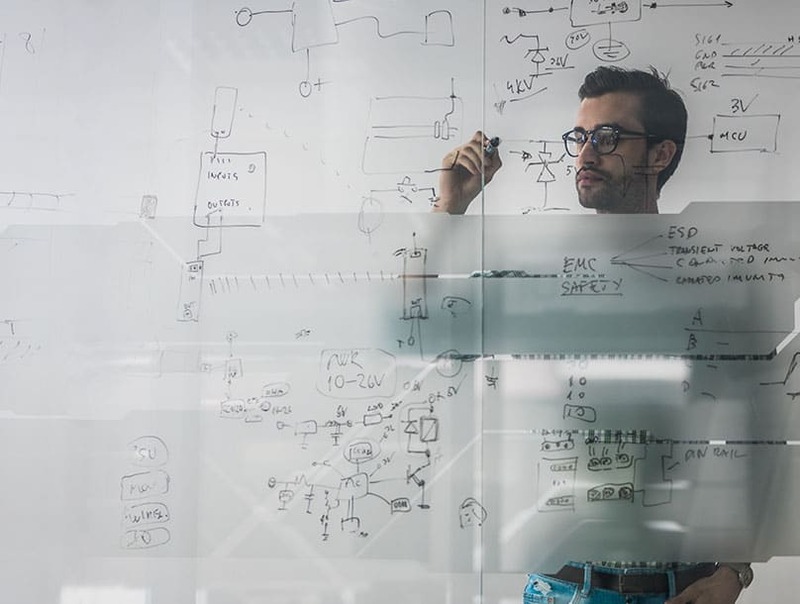 Until standardization is achieved in the industry, these legacy assets must coexist with the new wave of technology, which is made possible through the connectivity and lifecycle-extending abilities of the IIoT. There is currently a lack of standardization for internet communication protocols, which is in turn limiting the ability of developers to create industrial IoT apps that require more of an established connected infrastructure to operate. The contenders for this single standard of connectivity are HaLow, which offers high speed data transmission over long distances and is used in many IoT networks, and Bluetooth 5, which cannot transmit quickly but is cheaper and has lower energy needs. While the industry continues to work towards a communication standard, more third-party apps focused on filtering data rather than processing and analyzing every piece have also emerged as of 2016 as promising alternate solutions. On the OT side of things, there is a need to protect sensors and applications from hackers that could potentially use these devices to access the communication link and push malware or viruses into the network. On the IT side, while there are already many tools in place for dealing with security issues (log monitoring, network inspections, whitelisting, etc. ), there is also the ability to physically secure a single location to control data flow. However, IIoT networks are often not limited to a simple building but consist of small embedded devices with long lifespans, forming networks that can span several miles of a plant. These devices don’t always allow updates, so it’s critical to select the best one for the job, as well as to ensure its security. The IP-enabled sensors, or IP/IIoT-enabled Access Gateways, that are currently being used to build a connected infrastructure are making it easier to install and talk to sensors, but are also easier for intruders to access and look at valuable data streams. In order to bridge this security gap, the dividing IT/OT line will need to be blurred in order to focus on the same security goals and keep the IIoT network secure. 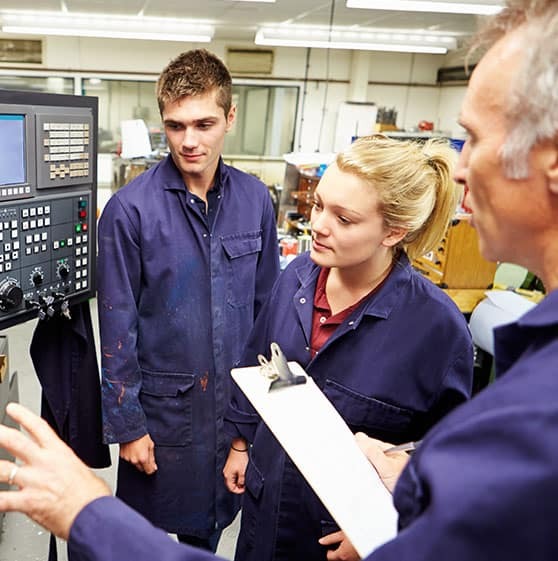 The skills gap is currently widening, to the point that more than half of manufacturing positions are expected to be left open due to lack of talent in the next decade. Company executives across all industries are reporting the skills most critically lacking include technical and computer skills, among team work ability and professional training. However, upon closer look, it’s not necessarily that workers are entirely unskilled, but that the highly specific niche demands of the manufacturing industry cannot be filled with the current supply of skilled workers. Overcoming this gap may require the cooperation of the industry in order to establish a training network to fill these positions but is a problem that will not be actualized for the near future. 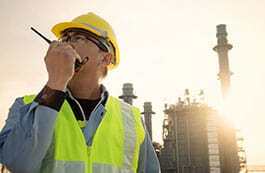 Data integrity is an internal IIoT process whose primary objective is to ensure the truth of the data is preserved from creation to integration, while data security is concerned with preventing external threats (hackers) from stealing or altering data. Both need to be considered when addressing the security vulnerabilities of embedded devices, given that the sheer volume of data that passes through these points may also contain privacy-sensitive or safety-critical data whose data integrity must be preserved. Data Distribution Service (DDS), which is an IoT protocol allowing for network interoperability of connected machines. Dependability Assurance Framework for Safety Sensitive Consumer Devices, which is used in vehicles to prevent crashing into other vehicles and pedestrians. 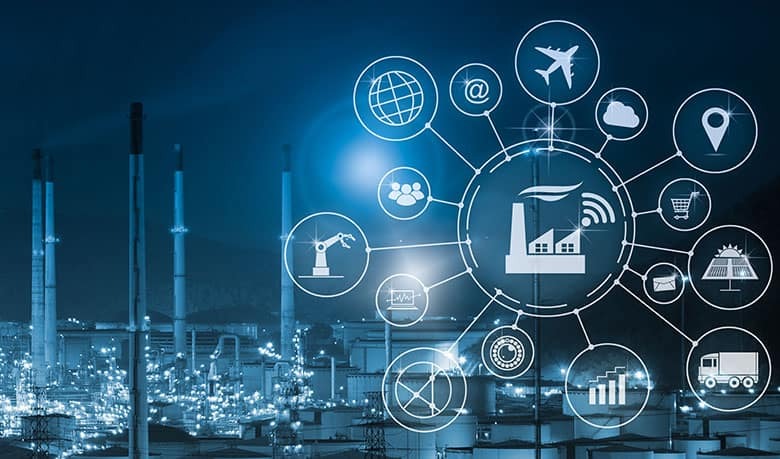 Device management is currently an area of IIoT where vendors spend the least amount of effort and investment, and as such, many industrial system operatives do not believe IIoT solutions are a more beneficial solution than traditional industrial control solutions. This disagreement on the value of IIoT, in combination with the lack of standardization in the industry, has also led to the fragmentation of the market and general inconsistency in pricing. The technology behind IIoT needs to combine with a broader social, economic, or political enabling factor in order to make the most of its innovative potential with a country. As aforementioned, the IIoT works best with an established communication infrastructure, so to establish it country wide would require a country wide infrastructure, which not all countries are currently capable of implementing. However, when implemented, it is believed that IIoT will improve work through innovations like wearable technology, and even lead to the creation of new, talent specific categories of jobs that will require IIoT skills. It is possible today to implement an end-to-end system, not including being able to use IIoT data to build digital twins of mechanical production line equipment, which has not yet been achieved. 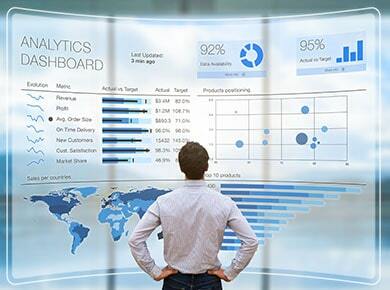 Other than this, however, there are only a few other necessities to make this end-to-end system a reality. One such requirement is a connection to Ethernet, which enables the transmission of data from sensors to the cloud. “This has led to the development of the IoT Omnigate, an end-to-end IoT platform that delivers an intelligent soft- and hardware-based solution that acts as a bridge between the OT and the IT on the field device level. The Omni gate is easy to integrate and use with sensors, allowing for configuration for IIoT without interrupting the machine’s function, which also reduces downtime on getting a plant ready for full IoT integration. To connect these sensors through Ethernet also requires smaller and more durable connectors, capable of withstanding heavy use and harsh conditions. One solution is the One-Pair Ethernet connection, which is >60% of the size of previous versions in addition to being cheaper to install, not requiring an optic cable, and is also not negatively affected by electromagnetic interference or crosstalk. 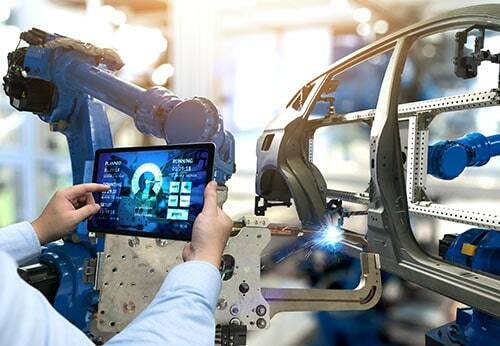 There are three primary industries that stand to benefit the most from the implementation of IIoT on an enterprise wide level: automotive, oil & gas, and aviation. However, a great deal of value can now be leveraged by small to medium size manufacturers that are aware of how to apply IIoT specific capabilities within smaller or more compact manufacturing ecosystems. 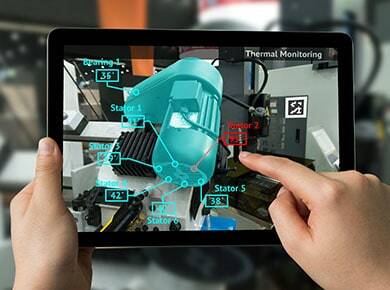 IIoT would allow for automation of assembly and fabrication of machine parts on the factory floor, as well as asset condition and maintenance checks on heavily used machinery to enable predictive maintenance and keep the machines in constant production. Additionally, data collected from sensors can be analyzed to detect errors and wastage, such as a defective part, effectively improving process efficiency and quality control. The biggest concern in the Oil and Gas industry is keeping the entire supply chain moving, and with smart sensors along its entirety it becomes possible to build an intelligent supply chain network that can be analyzed for optimal operation requirements (trip time, asset management, etc. ), in addition to keeping it running smoothly. In the oil pipelines themselves, sensors can report on things like temperature, velocity of oil, pressure, and other crucial data to keep the oil flowing. Additionally, on the consumer end, sensors in pumps can track fuel consumption in order to predict fuel requirements, saving money on the cost of transportation of unnecessary fuel. Safety and efficiency are two key components of any flight, and with IIoT, it’s possible to optimize both. Sensors on the plane can monitor for irregularities to prevent potential mishaps, as well as report areas that are not operating at maximum capacity during flight so these areas can be improved upon for efficiency. Similarly, to the oil industry, sensors can also be used to detect fuel usage to determine the exact level of fuel required to make a flight and minimize costs.